21st March, the International Day of Forests, was chosen by the European Commission to publish the European Atlas of Forest Tree Species. 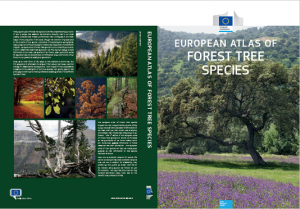 It is a comprehensive work of 202 pages, which offers information on the distribution, ecology and utilization of Europe’s major forest tree species. Furthermore, it includes chapters on the status of European forest resources and the threats they face and the ecosystem services they support. Also there is a chapter on European Union’s policies on forests. Finally, there are descriptions of the different forest ecosystems that are found in a continent as climatically and physiographically diverse as Europe. The publication is freely available for download here.